I have mentioned Smith’s work before, and directed you to some of his articles. 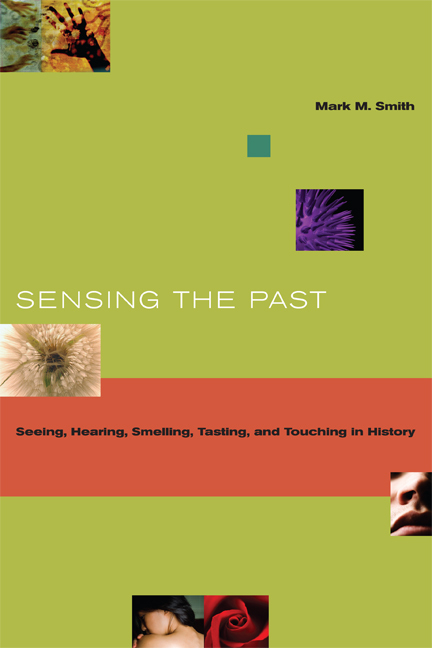 Today I want to direct you to a wonderful book he published in 2007 – Sensing the Past: Seeing, Hearing, Smelling, Tasting, and Touching in History. Specifically I want to highlight some of his key points in the chapter on hearing. The rest of the book focuses on the other senses. But even if you only read his chapter on hearing, you will start to understand Smith’s approach to studying sound in history. And here is a review of the book. This entry was posted in Uncategorized and tagged history of sound, Mark Smith, noise, senses, sound. Bookmark the permalink.